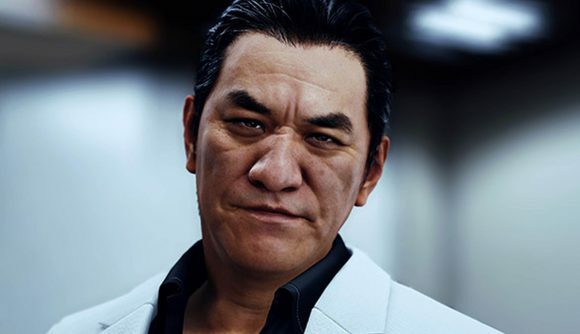 Sega has halted sales of Yakuza spin-off judgement after one of the game’s voice actors was arrested for alleged cocaine use. Pierre Taki, who provides the voice for in-game character Kyohei Hamura, as well as the Japanese version of Olaf in both Disney’s Frozen and Kingdom Hearts 3, was arrested by Tokyo police last night. According to Mainichi News (via Kotaku), the arrest was made after a tip-off led investigators to search Taki’s car. No drugs were found, but the actor’s urine later tested positive for cocaine. He has since admitted to use of the drug, which is in violation of the country’s strict narcotics laws. This morning, Sega issued a statement (translated via Google) stating that “for the time being we have decided to refrain from shipping and DL sales of [Judgement].” The statement also says that Taki’s arrest is “regrettable,” but that customers will be notified of the company’s future responses to the situation. Sega has also been deleting posts about the game from its social media accounts. Currently, Judgement is limited to a PS4 release in Japan, but is due for a worldwide release in June. Given that the rest of the Yakuza series is being gradually ported to PC, however, it’s possible that a PC release of the spin-off could be under consideration. Japan’s attitude to illegal drugs is essentially zero-tolerance, and multiple pop-culture stars have been removed from projects after their own arrests.